It was prophesied that Jerusalem, the capital of the ancient Jewish world, was to be trodden down by Gentiles (non Jewish people) for a period of time (Luke 21:24) but that it would again fall into Jewish hands. This has been fulfilled in our day – making this an exciting prophecy which links both past and present and is an integral part of the Bible’s message. 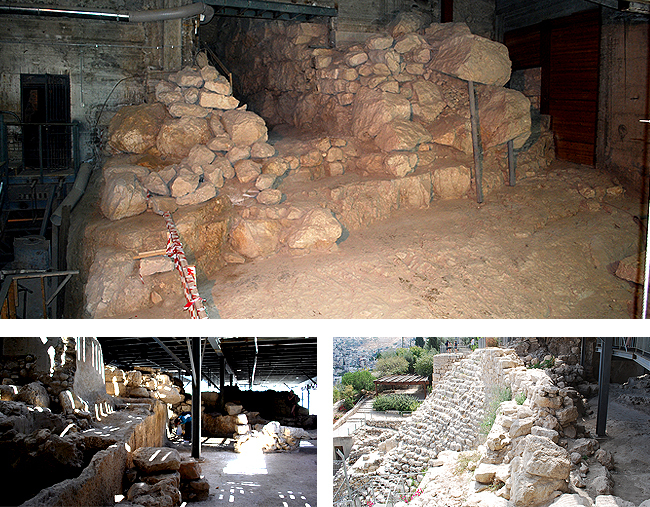 Jesus here was prophesying of the destruction of the temple by the Roman power in AD70. The Romans, led by Titus, besieged, conquered and destroyed the city of Jerusalem. The city had previously been in subjection to the Romans in Christ’s day but the Jewish occupants had rebelled. 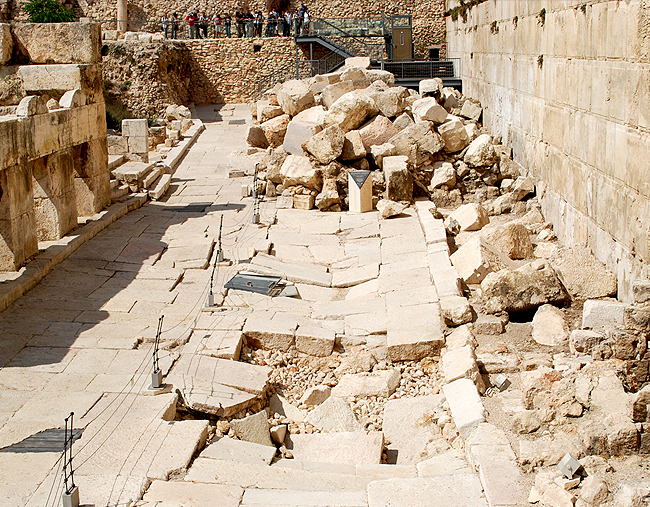 The temple was destroyed by the Romans as Jesus had prophesied – they threw down all the stones which made up the temple from a large raised courtyard. Both Jesus’ and Daniel’s prophecies indicate this was to be for a temporary period. Jesus says “until the times of the Gentiles be fulfilled”. This indicates that the Jews would once again gain control of Jerusalem after a period of time. In modern history, the Jews gained control of Jerusalem in 1967 after the “6 day war”. 13 ¶Then I heard one saint speaking, and another saint said unto that certain saint which spake, How long shall be the vision concerning the daily sacrifice, and the transgression of desolation, to give both the sanctuary and the host to be trodden under foot? The Bible speaks of Jerusalem becoming the capital of the world when God’s Kingdom is established upon the earth. This all harks back to God’s Kingdom in the past, when David was King over Israel. In the past, God’s Kingdom was reigned over by a King called David. He was elected by God to rule God’s chosen people Israel – on His behalf. His throne will last forever! Israel will become the first dominion. It will be from Jerusalem that Jesus will reign over the earth. Decrees will go out to the nations to accept him as the King. Eventually the whole world will accept him and believe in God. A third temple will be built (see Ezekiel 40 – 48) and Jerusalem will be the centre of government and religious worship.